How do you use family recipes at your operation? Our home kitchen is the testing ground for a multitude of recipes, as both my husband and I are chefs. The most popular dish I serve at work, taken from my grandmother’s kitchen, is Bavarian-style sauerkraut. She would make this into a complete meal with sausages, potatoes and brown bread. I have simplified the process using apple juice, caraway seeds and bacon. This is the twist that makes our reuben sandwich a favorite over the winter months. My sous chef Sundara Mani has adapted a lamb curry and an alternate meatless version of paneer curry that gets lines out the door every time we put it in the menu rotation—which is almost weekly now. 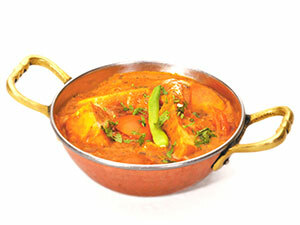 It is adapted from his family’s own traditional Masala. I took inspiration from a Dungeness crab bisque recipe that has been in my family for years. Our family owns property in the San Juan Islands, which provided us access to fresh crab during the summer months. My passion for local seafood helped in our development of the Northwest Dock station, which opened this past year in our Café 83. The station features the bisque, plus seasonal and local fresh seafood, such as Lummi Island salmon and chowders made from scratch. Since we are a smaller facility, we have had a good time giving our guests lots of home cooking, from pot pie and pot roast to wild rice soup and tater-tot hotdish (it’s an upper Midwest thing). Since they are things most people in these parts have eaten since childhood, it’s been fun to bring our guests back in time for one meal. We are fortunate to have chef Stacy Chesney leading our culinary department at Swan Creek Retirement Village in Toledo, Ohio. Everyone knows about her famous Swan Cookies. The residents can’t get enough of them, and the marketing department orders dozens for events and meetings. Chef Stacy has a couple of tried-and-true recipes she has brought with her from her childhood and family traditions. But her signature cookies are made with her grandmother’s dough recipe, and it’s the recipe she has used every year for Christmas cutouts since she was a little girl. It’s a family tradition now passed on to the Swan Creek Retirement Village family.